This dish has a great balance of distinctly British flavours. It tastes fresh and healthy (as it should with green leaves in it) but is also rich and peppery, with a grown up note of bitterness. It looks beautiful too, but really isn’t any effort to make and involves no cooking. I haven’t been precise with the ingredients, as it’s simply best to assemble a reasonable amount of each and see how far they go. 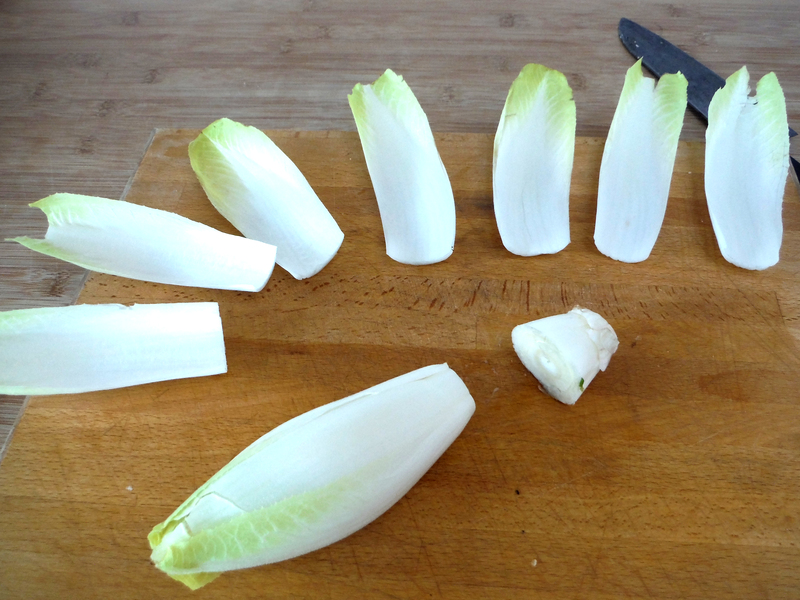 Cut the base off the chicory and remove any small outer leaves. Carefully remove the good leaves and arrange on a plate. Chop the pear into small batons. 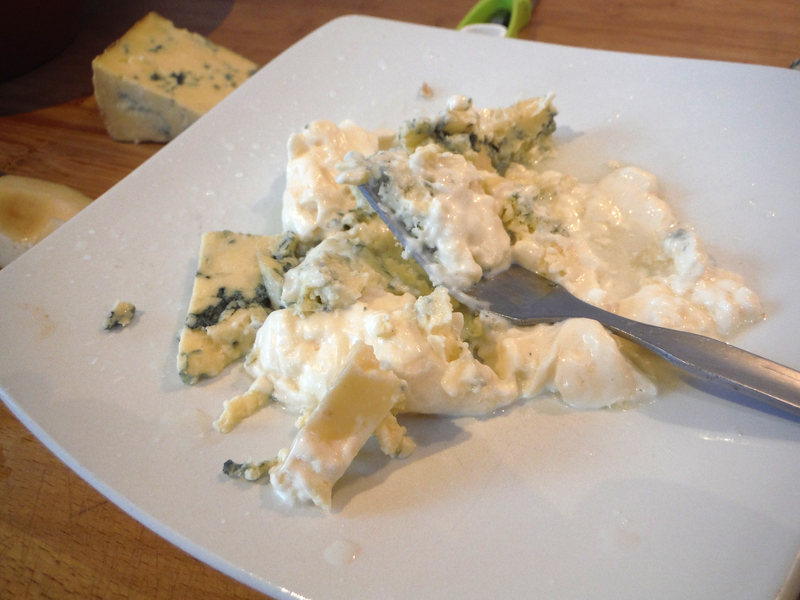 And slice and crumble some of the blue cheese into pieces roughly half a centimetre across. 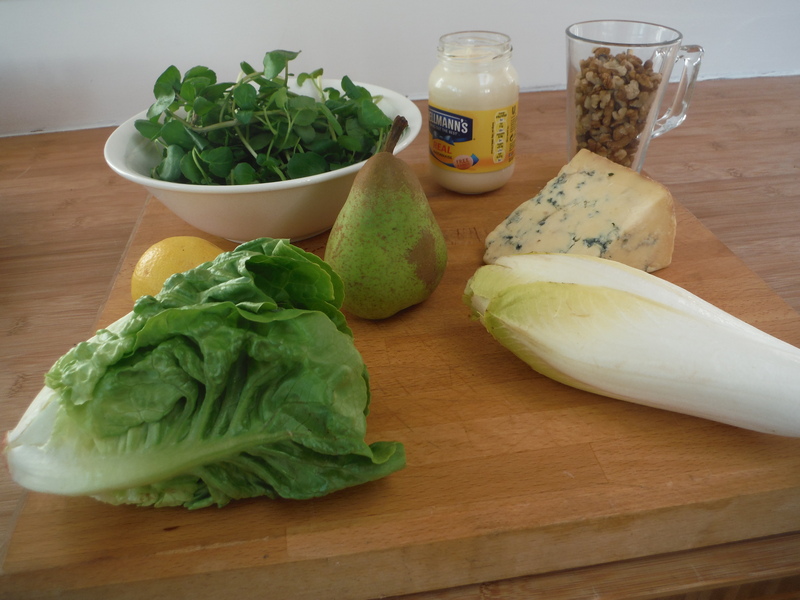 Add cheese, walnuts and pear to the chicory leaves in moderation. Take some crumbled blue cheese and a roughly equal amount of mayonnaise. Mix these together and mash with a fork. Add lemon juice little by little to loosen the mixture. 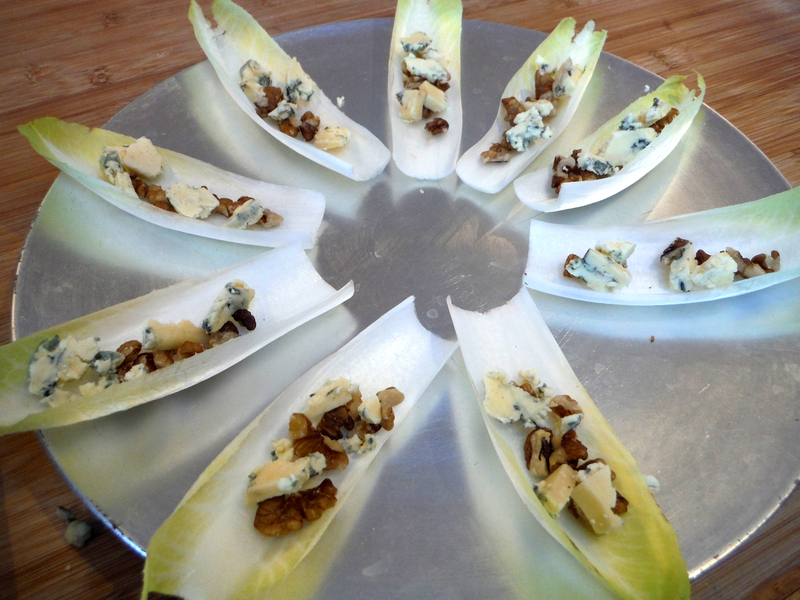 It should be runny, but not to the extent it will easily run out the chicory leaves. It’s fine if this is a little lumpy. Taste and add cheese, mayonnaise or lemon according to your judgement. Add the dressing to the leaves to coat the ingredients. I just grab some watercress and fold it until I can fit it on top of the ingredients in the chicory leaves. But the stalks can be a bit tricky to bite through, so you may want to chop these a little. But ideally you retain the tangly element of the watercress as it makes the dish look good. 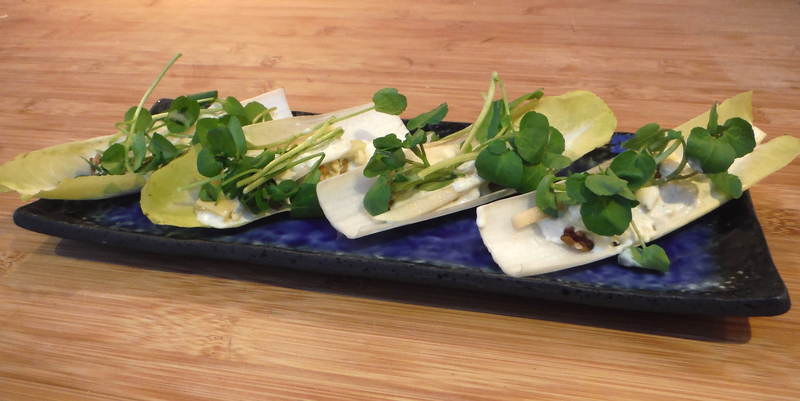 Watercress is a key ingredient here, for its balance of peppery kick and cooling crunch. Its deep green also offsets the pale green of the chicory and completes the look of the dish. If you can’t lay hold of any, replace with rocket (rucola) or another similarly peppery leaf. Watercress is also important here as one of the almost-forgotten pieces of Britain’s culinary heritage. With the rise of the railways in the 19th century connecting city and countryside, watercress became a boom industry. Watercress sellers could be seen in all the industrial towns – the stuff was so abundant it became known as ‘poor man’s bread’. But with the decline of our railways, so too the decline of watercress. 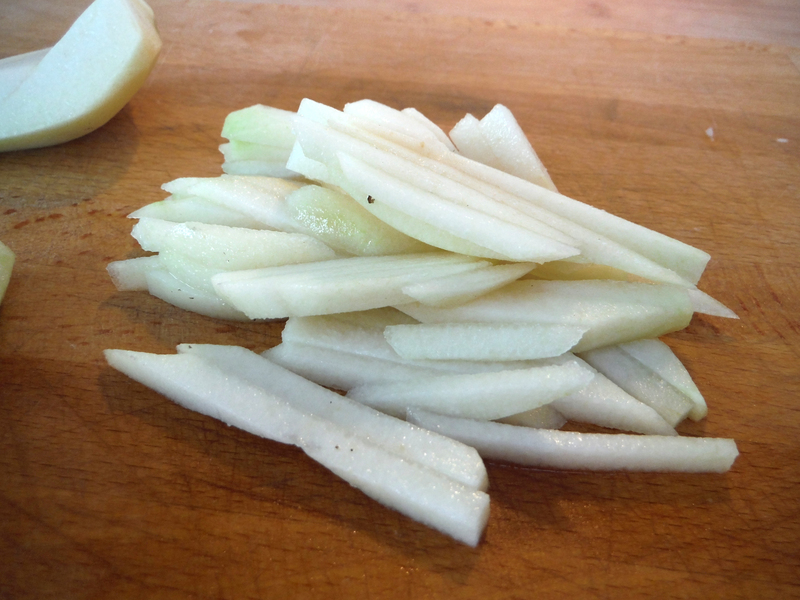 Things can get a bit confusing with chicory, at least in name, as it’s also variously known as endive and witloof. (And endive is the French and British English name for a quite different salad leaf.) It’s importance here comes both from its form, which is sturdy enough to carry ingredients like a small bowl, and its flavour, which has a distinct note of bitterness. It’s a shame to dispense with this note, but as it also comes from the Stilton and walnuts, at a push you can substitute small firm lettuce leaves for the chicory. If you can’t lay hold of Stilton cheese, then do use another blue cheese. 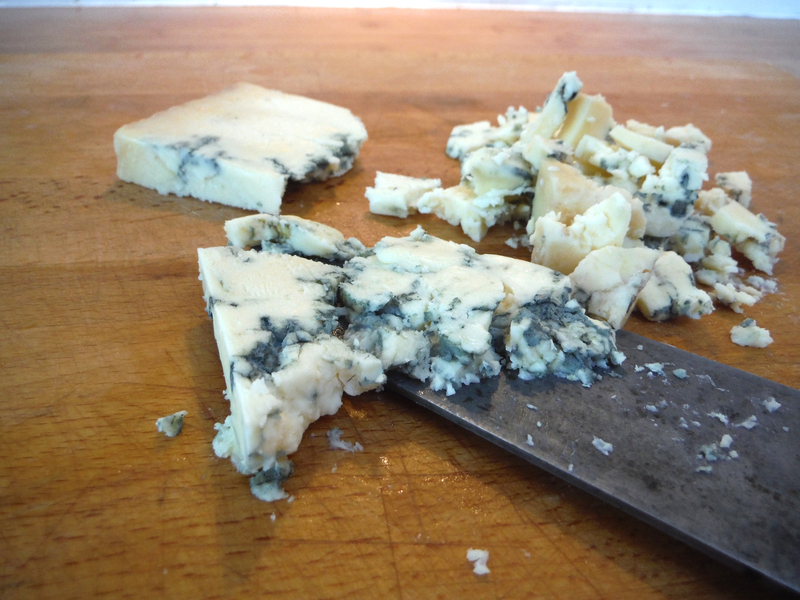 The value of Stilton or blue cheese in general here is for its balance of creaminess and salty-bitter tang. Pear brings a sweet, juicy bite to this dish. With this in mind, I’d avoid a perfectly ripe pear and go for one that’s slightly underripe. Japanese nashi would be well suited, due to its lovely watery crunch. You can subsitute mayonnaise with yoghurt, creme fraiche or similar dairy products to create the dressing. If using a sharper base like yoghurt, consider using less lemon juice, or dispensing with it altogether. Walnuts bring more bitterness to the dish, and another sort of crunch alongside that of the leaves and pear. You could probably subsitute for pecan nuts. 投稿日: 9月 4, 2015 10月 5, 2015 投稿者: charlesbodsworthカテゴリー: おつまみタグ: クレソン、チーズ.